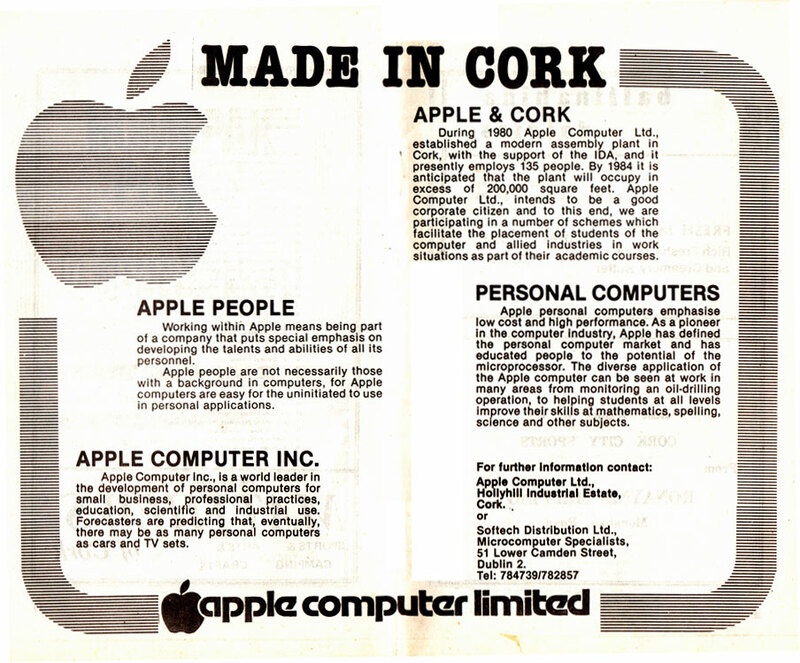 Centre page advert for Apple Computer ltd from programme for Cork City Sports at the Mardyke, Cork on 23rd June, 1981.
i once called an apple helpline in cork … it was just the best clearest assistance ever… lovely soft musical accent too..the cork brogue just sings. Oh how times change – “low cost” and “good corporate citizen”! 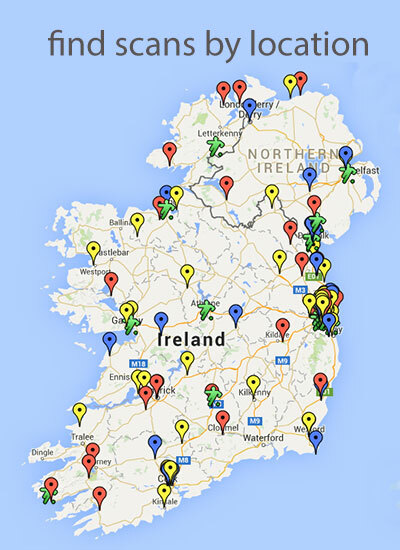 Softech are still very much in the business. I think I did an MS training course in their place, back in the 90s. It was opposite Cassidy’s.